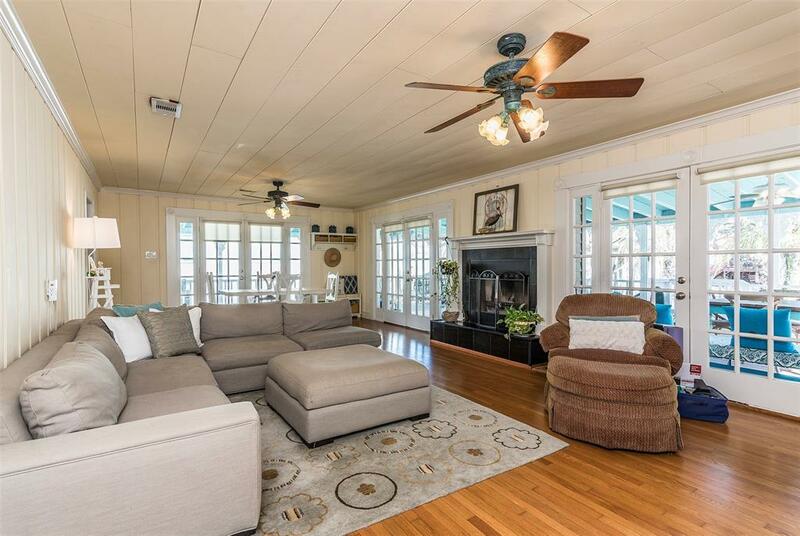 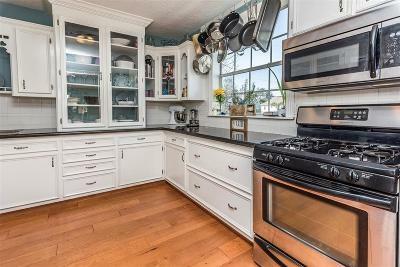 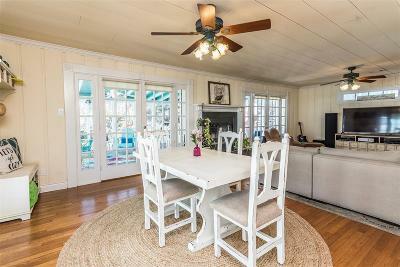 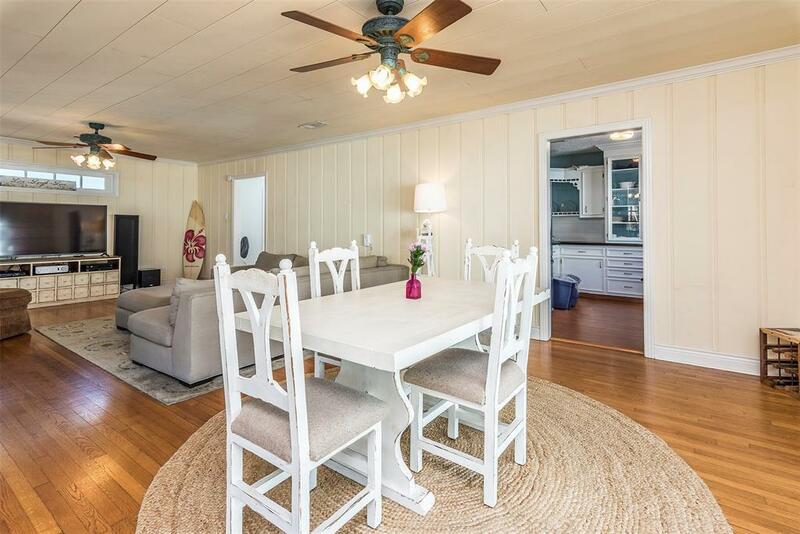 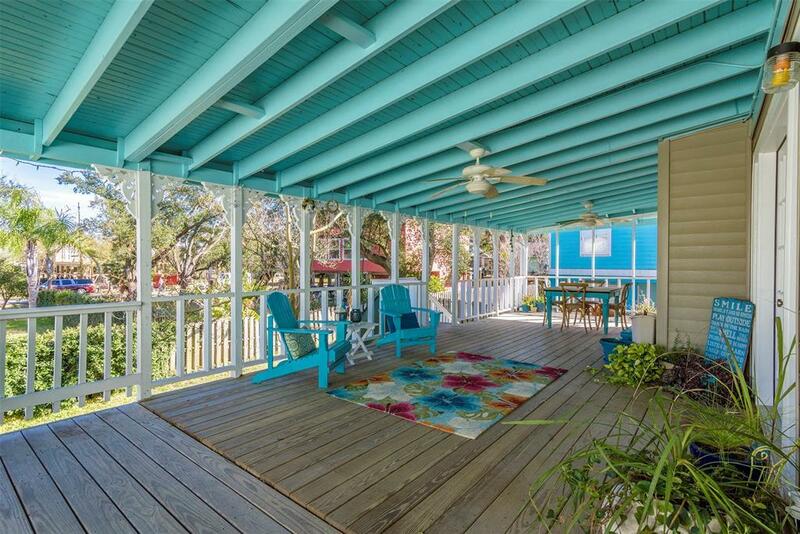 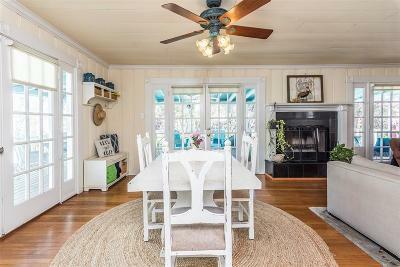 Enjoy the authentic coastal charm of one of the islands historic homes. 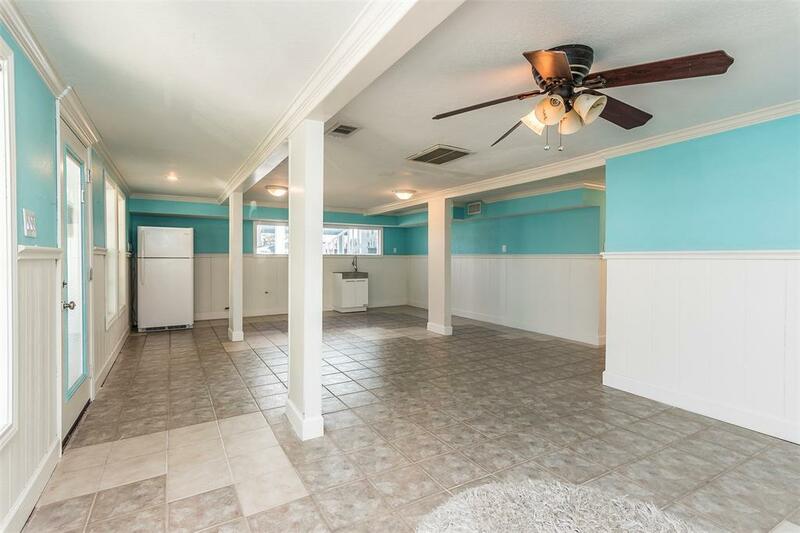 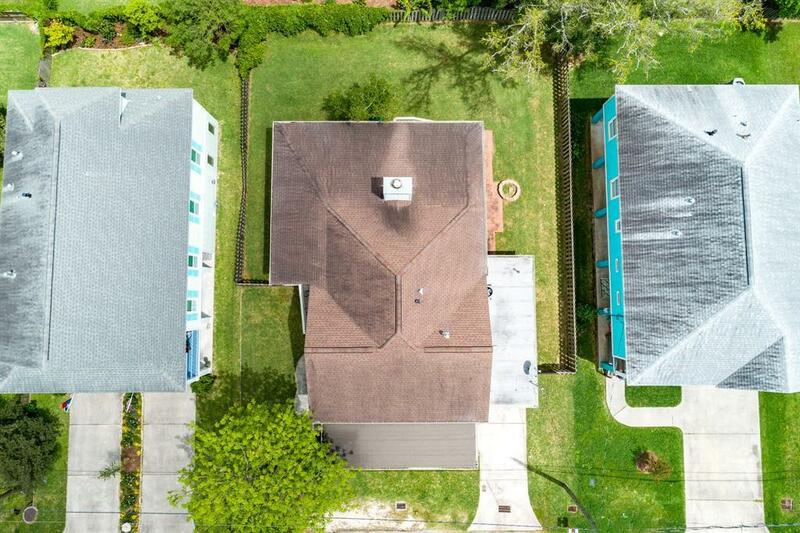 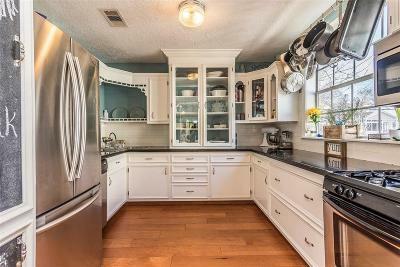 Endless opportunities with its unique split-level floor plan! 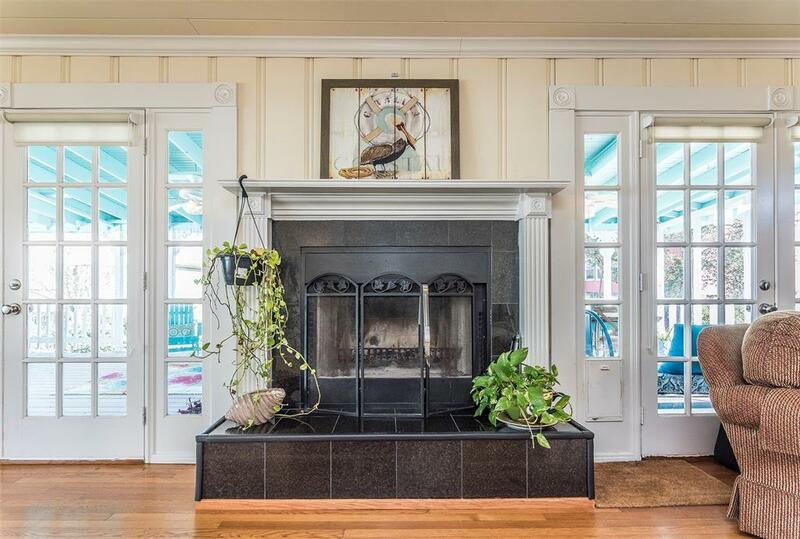 Resting on a lush 7,000 sqft lot just steps from the lakefront. 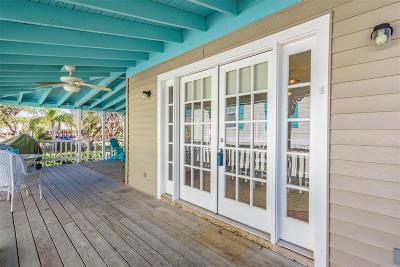 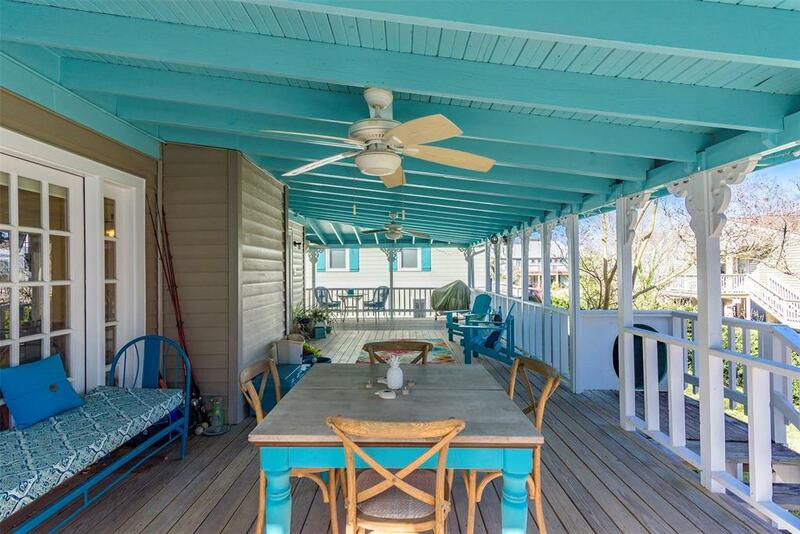 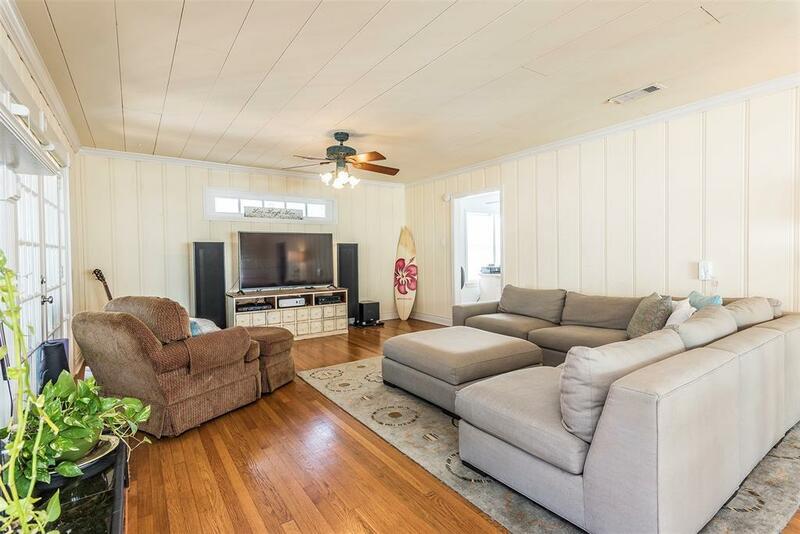 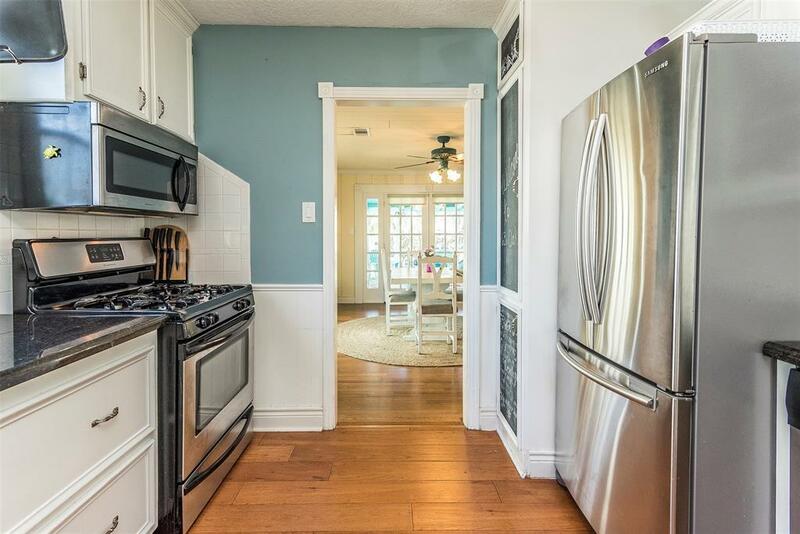 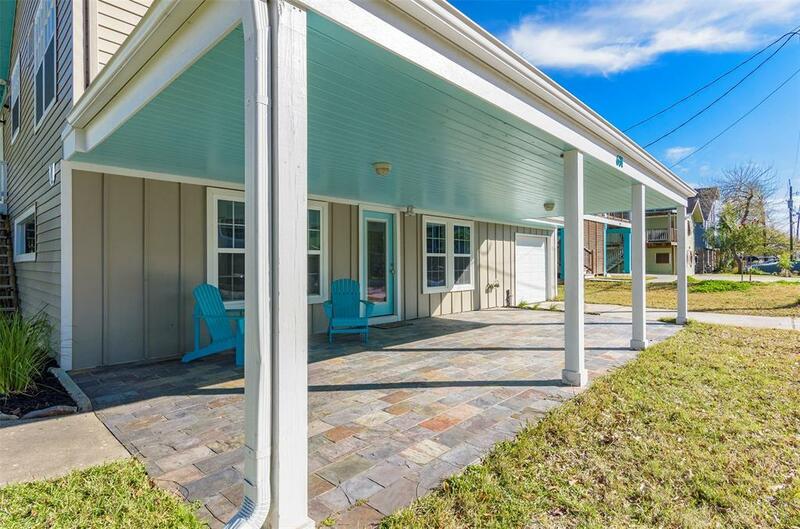 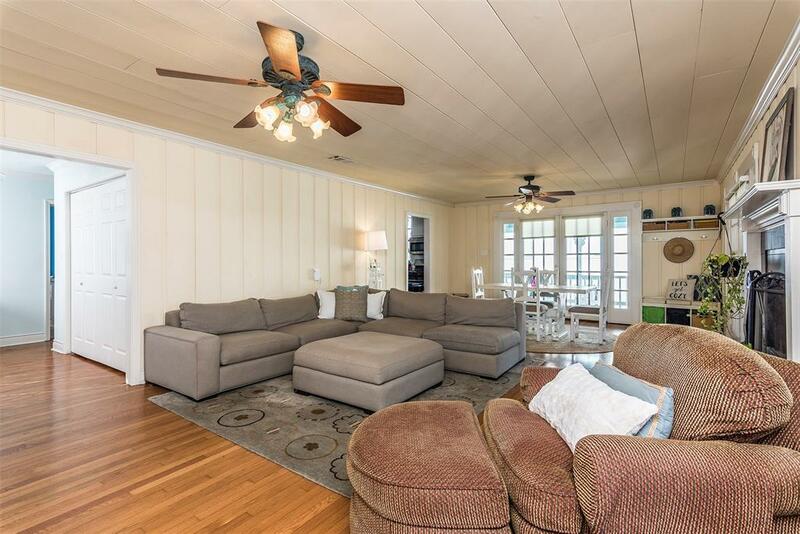 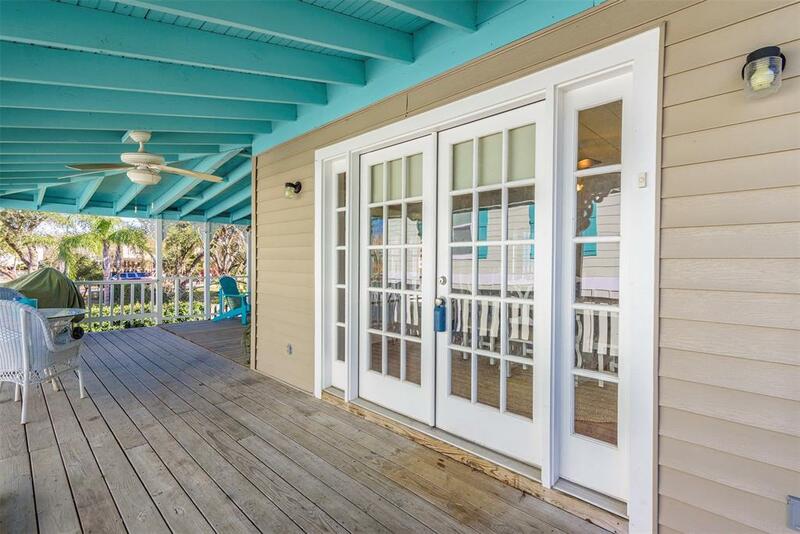 This 3/2 features peaceful views from a stunning & spacious wrap-around deck, 3 sets of French doors, original hardwoods, updated kitchen, 2 covered porches & much more. 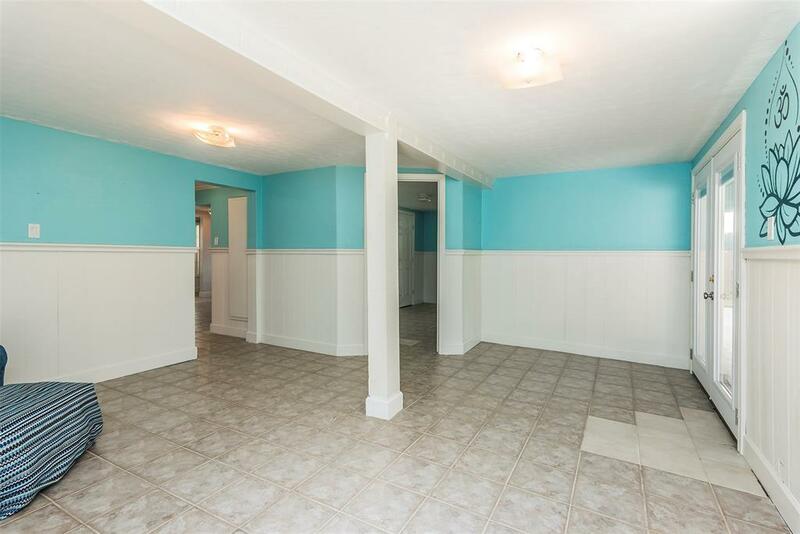 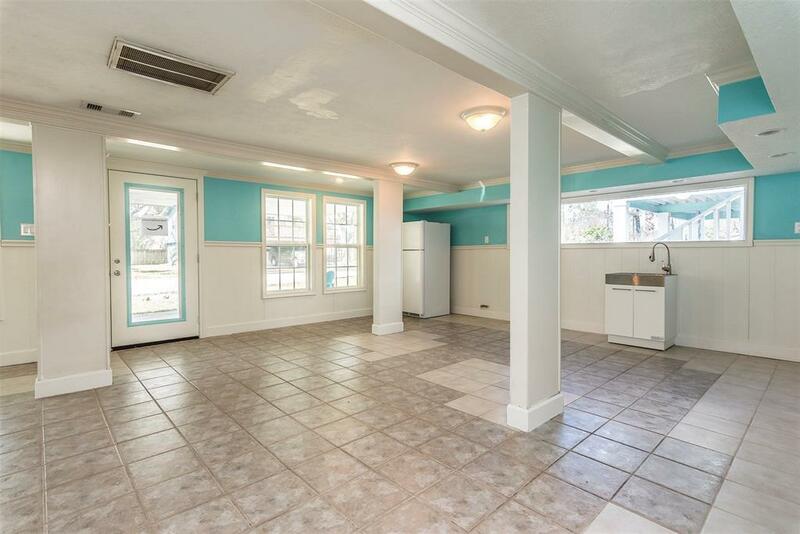 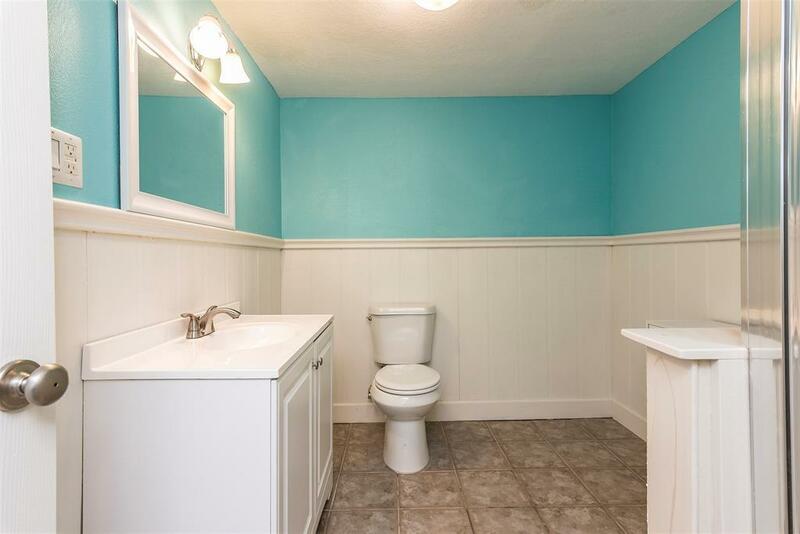 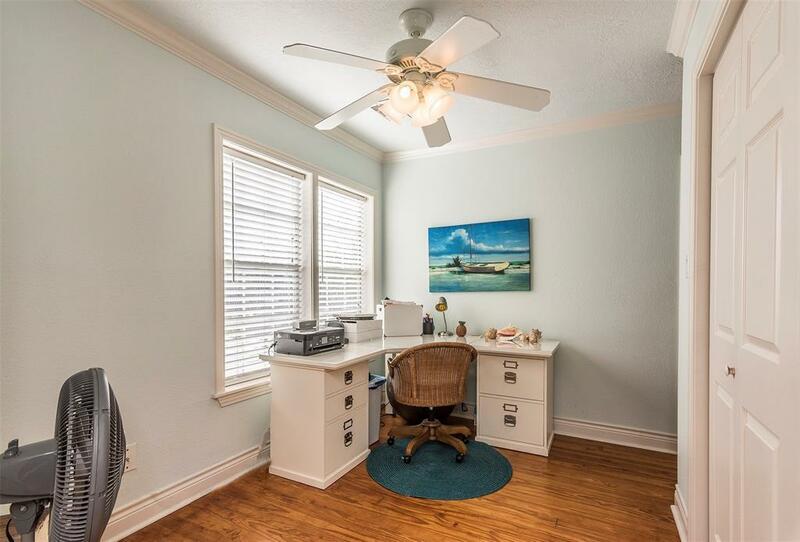 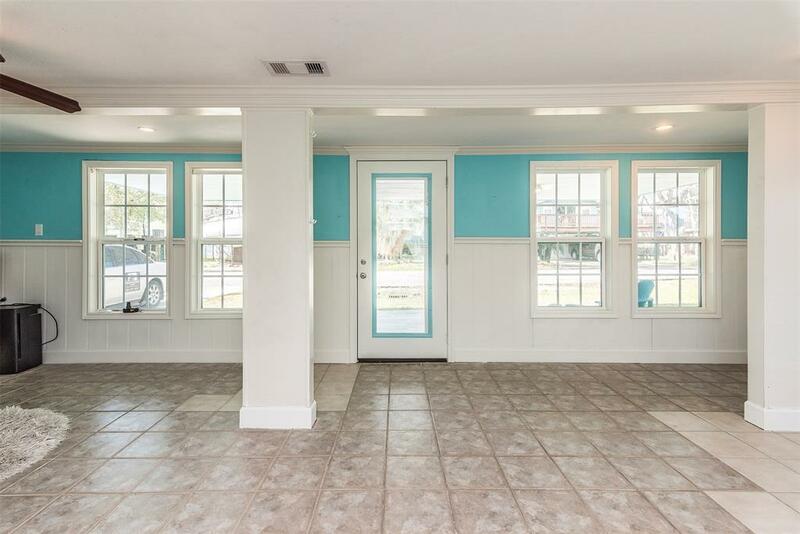 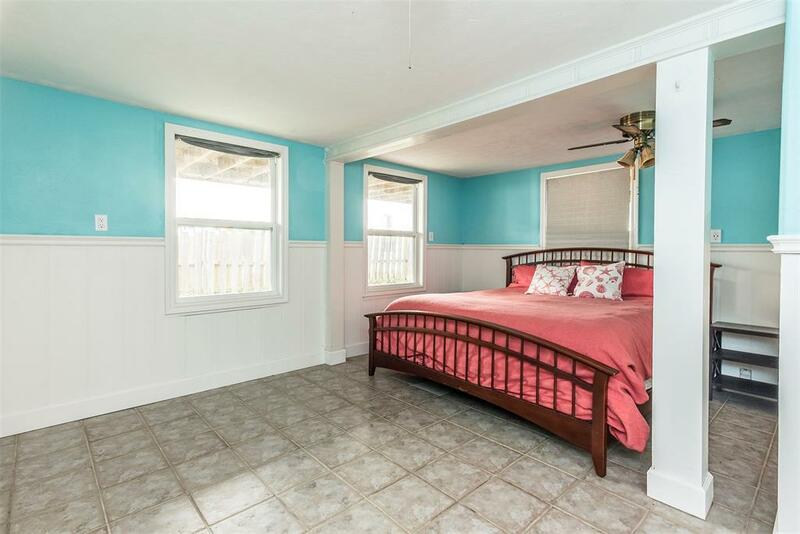 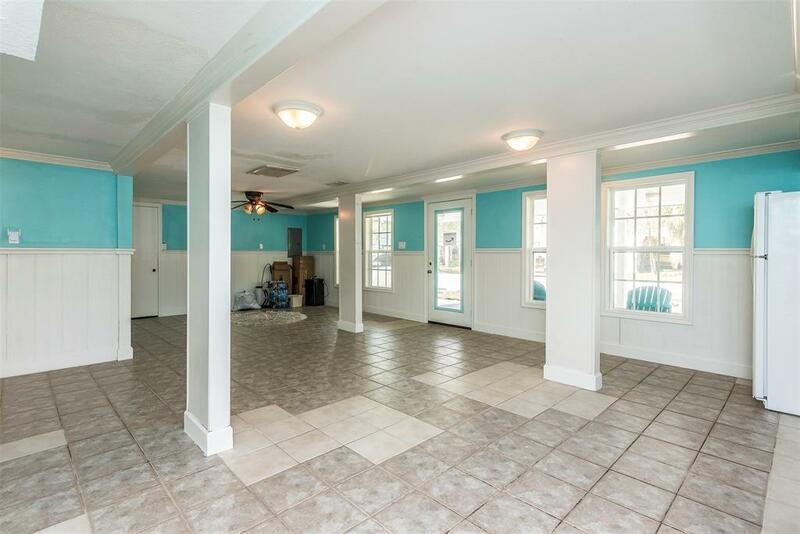 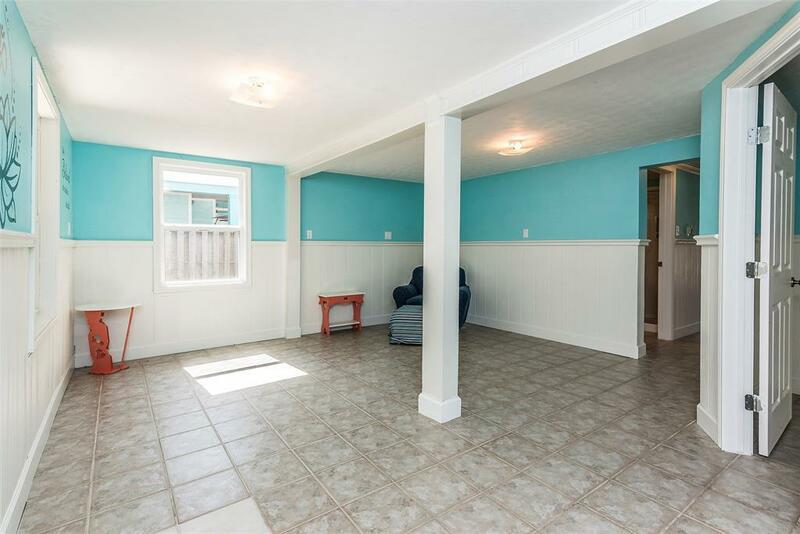 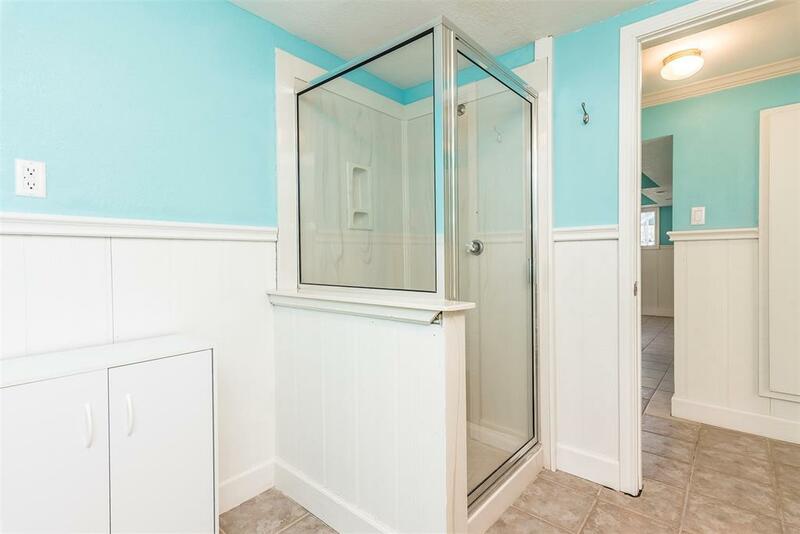 First floor recently renovated & fully insurable! 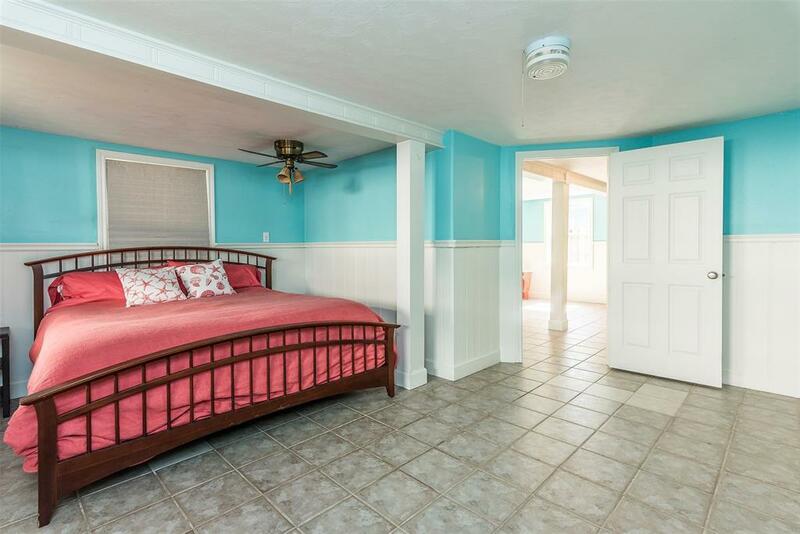 With 2 private entries, a bedroom, full bath & kitchenette along with flex space galore! 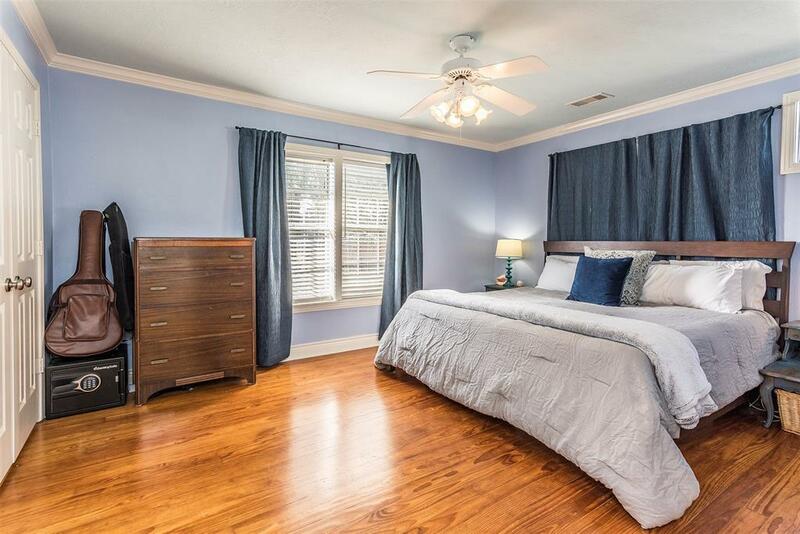 Excellent for a MIL suite, guest quarters, adult children, media room, art/music studio, home business or whatever you desire. 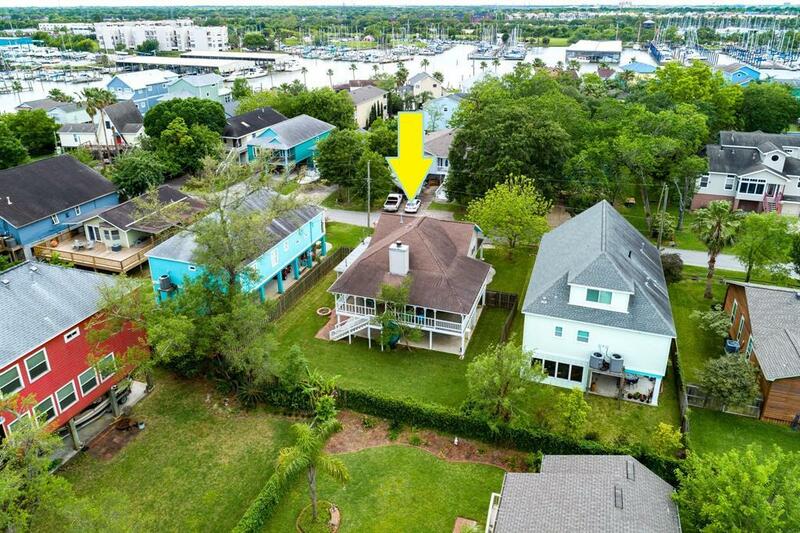 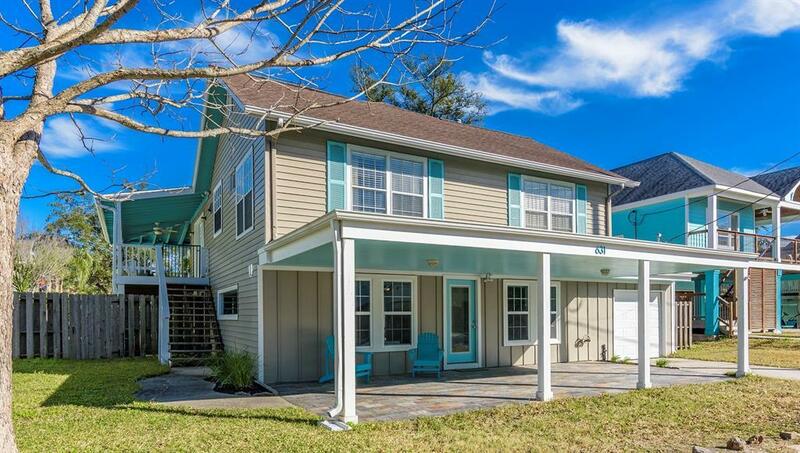 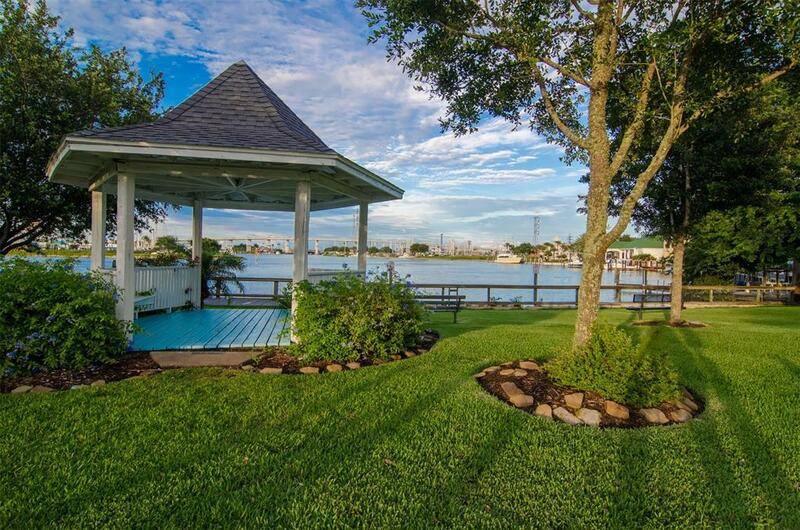 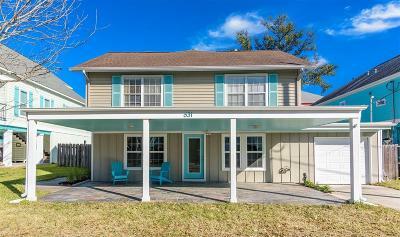 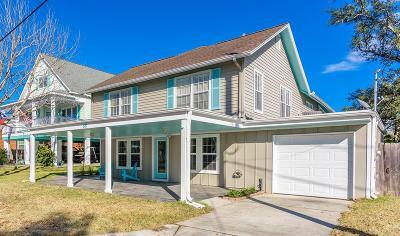 A truly one of a kind place to call HOME located in Clear Lake Shores. A waterfront paradise that embraces an outdoor lifestyle with golf cart friendly streets min. 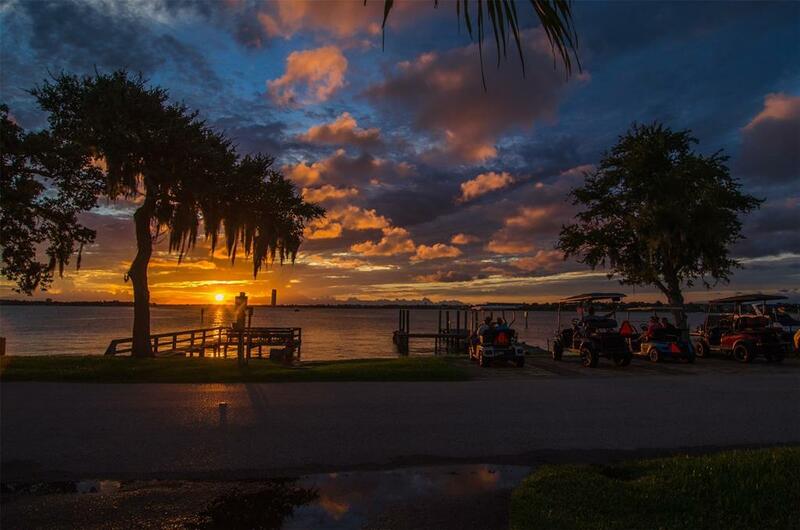 from Kemah Boardwalk. 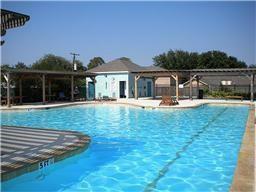 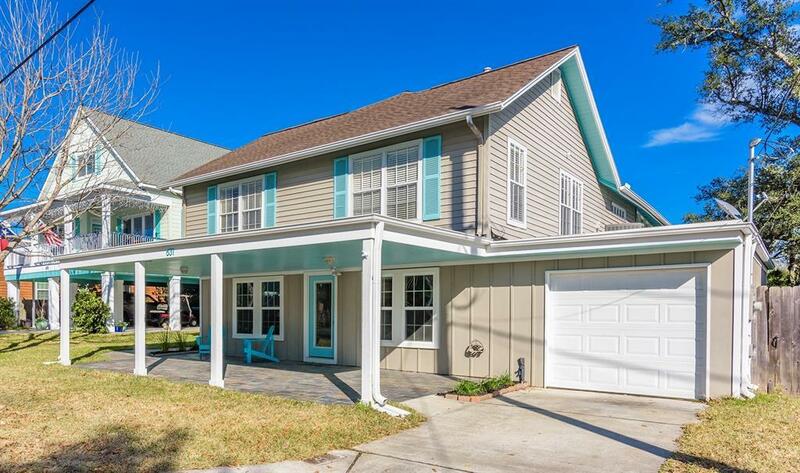 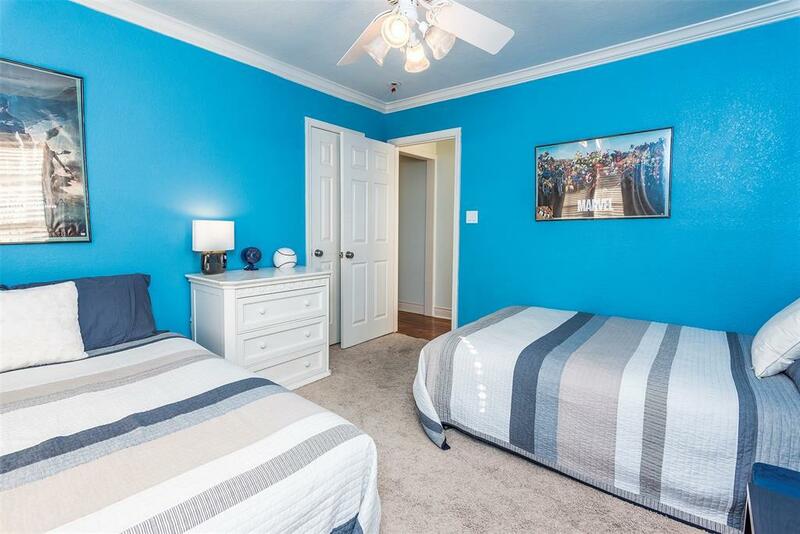 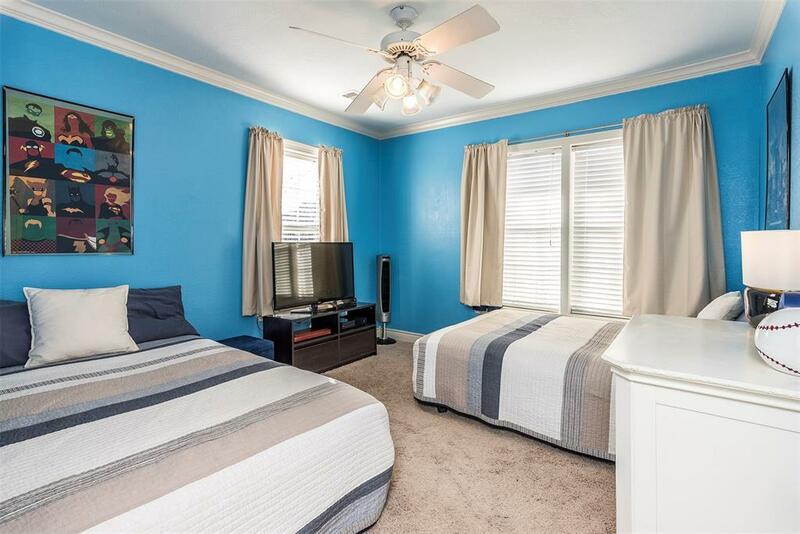 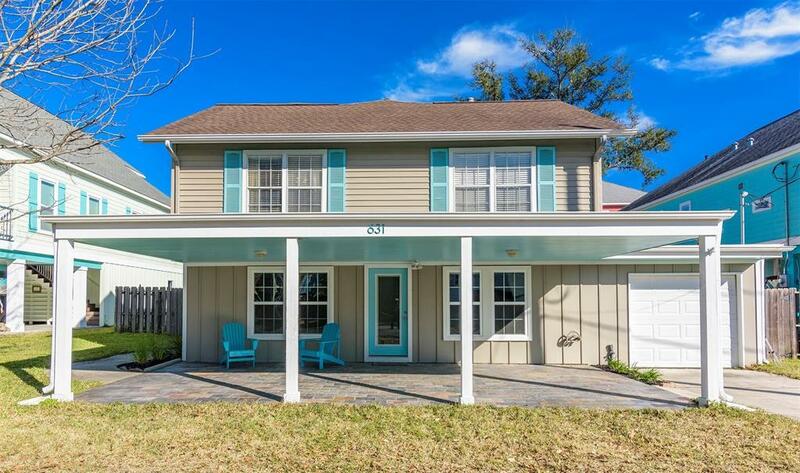 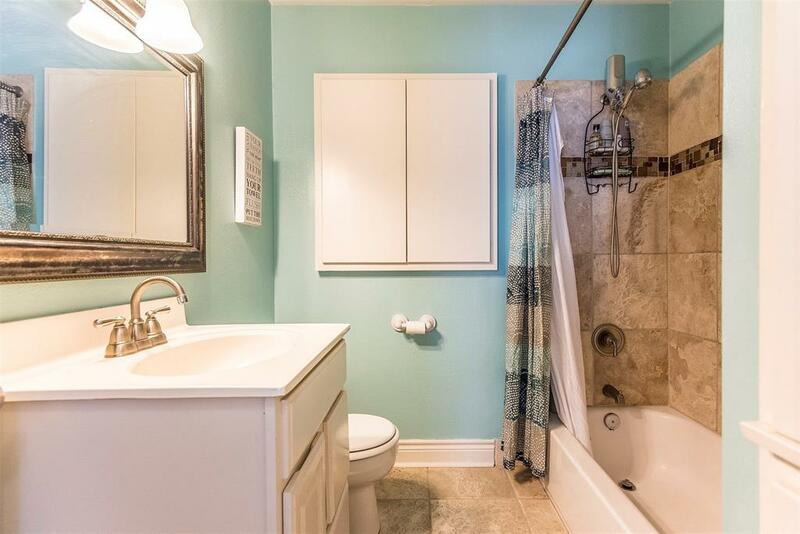 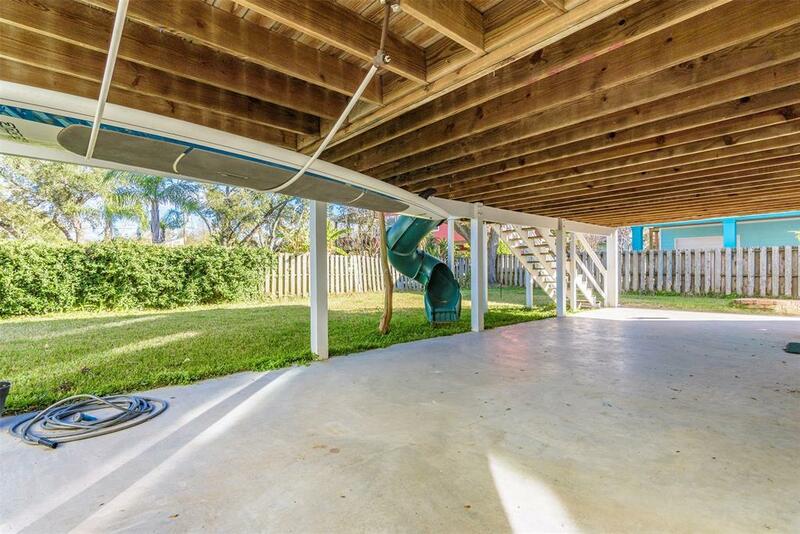 Enjoy multiple neighborhood parks, community pool, boat launch & lots of local entertainment. 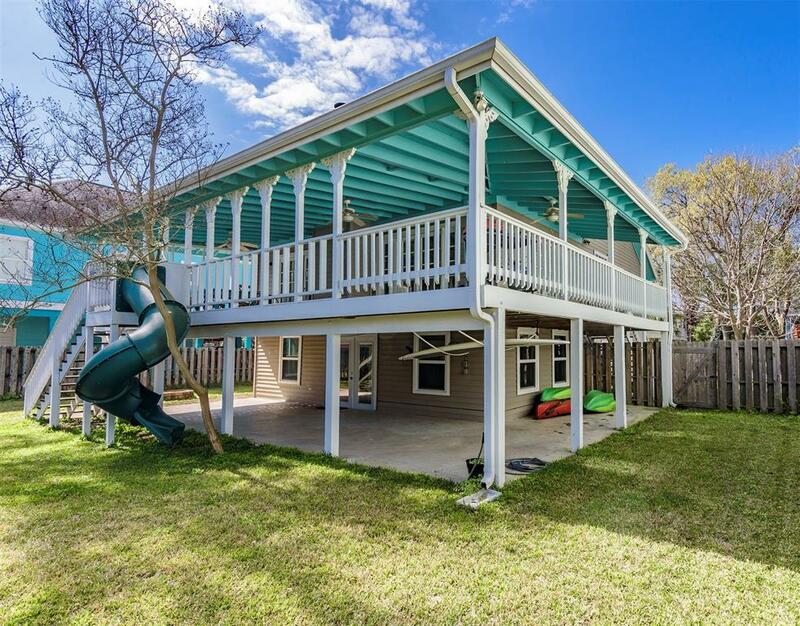 Zoned to CCISD, low taxes & no HOA. Come see what this Island Life is all about! 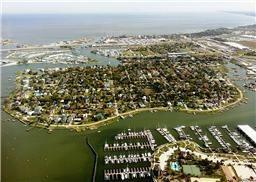 Directions: From Hwy 146, Go East On Marina Bay Dr (Fm 2094), Right On Clear Lake Rd, Left On South Shore, Right On Oak Rd, Home Is On The Right.